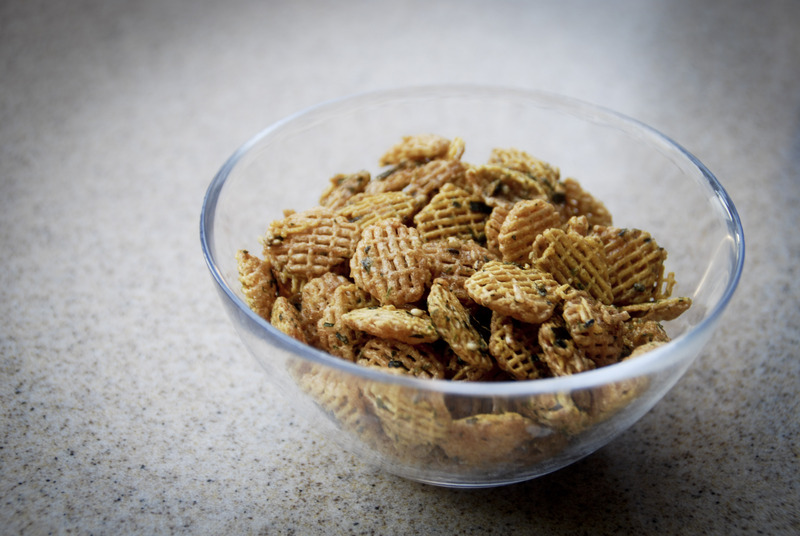 A delicious snack that satisfies both sweet and salty cravings. My boyfriend’s mother makes this yummy treat all the time and we all dig in! It’s so addicting and easy to make, give it a try. 1. 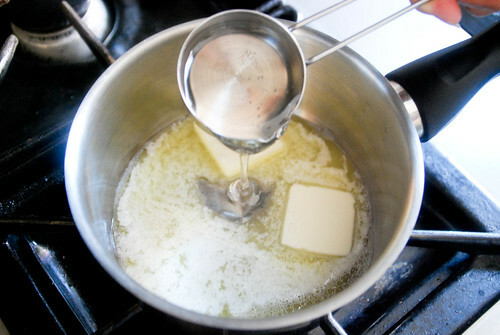 Heat margarine, soy sauce, corn syrup, sugar, and oil until sugar disolves. 2. Pour sugar mixture over cereal in a large bowl. 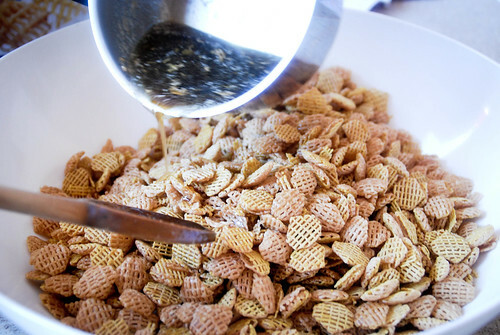 Mix well until cereal is lightly coated. 3. 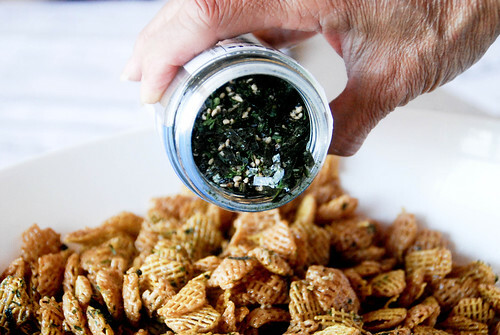 Sprinkle furikake (or ao nori and sesame seeds) evenly over cereal and mix well. 4. Spray Pam in two large pans. 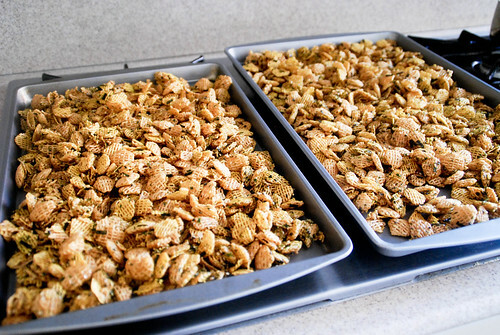 Spread cereal mixture onto pans. 5. Bake at 250 degrees for 1 hour, mixing every 15 minutes. Pour yourself a bowl of this crispy sweet and salty goodness. This snack also makes for great gifts or party favors. I recently made these for me and my boyfriend’s coworkers as a holiday gift. 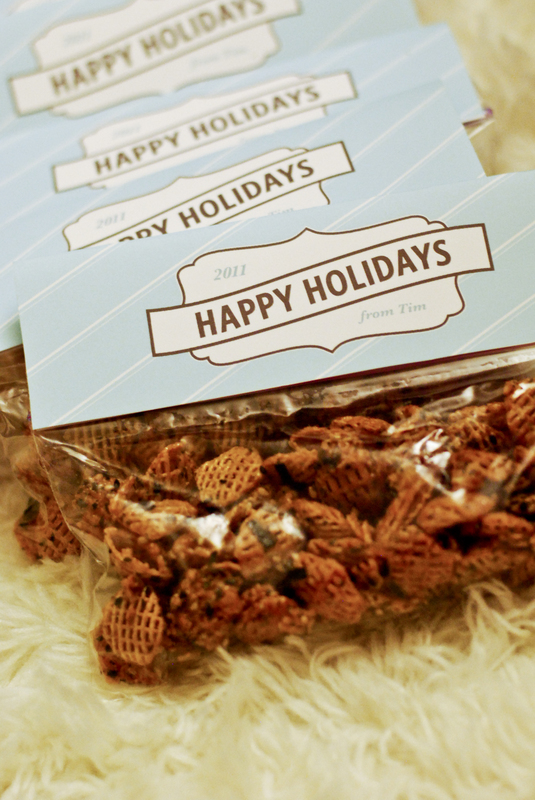 I designed cute holiday labels to package the gifts and put the mix inside a 1/2 quart zip loc bag, attaching the labels with double stick tape. It took a while to finish them all but it was worth it!